Folic acid is one nutrient that many women hear a lot about when planning a family. Nutritionists, fertility specialists, doctors and other health professionals talk about this nutrient frequently and why it’s so crucial for women’s fertility and pregnancy. Folic acid is a B vitamin. This nutrient is involved in the production of new healthy cells. Sometimes this vitamin is referred to as folate. 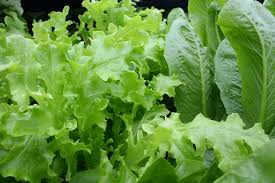 Folic acid is synthesised from folate, which occurs naturally in some foods. 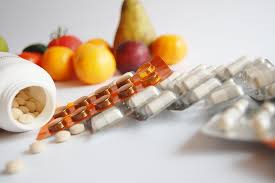 However, few women meet their dietary requirements for folate through food and need to consider a dietary supplement. Anencephaly: This is a condition where all or most of the brain fails to develop. Babies with this condition are often miscarried or die shortly after birth. Spina bifida: This condition occurs when the spinal column of an unborn baby does not fuse properly to protect the spinal cord. Consequently, the child often has life-long disabilities. This is because the nerves which control motor functions, such as leg movement, fail to work. Children with this condition often have a shorter lifespan and will require multiple surgeries. Studies show that by taking folic acid supplements prior to pregnancy and during pregnancy it is possible to avoid a wide range of birth defects in unborn children and adverse pregnancy outcomes1. Folate is also important for maintaining healthy blood. Not getting enough of this B vitamin can cause anaemia. This nutrient can also help to improve heart health2. The ideal daily intake of folic acid for women is 400 to 800 mcg or micrograms, even if they are not planning on starting a family. This will help to reduce any chance of birth defects should they become pregnant. You are pregnant. In the very early stages and prior to pregnancy women need between 400 to 800 mcg of folic acid daily. It’s important to continue to take folic acid during pregnancy and this should be discussed with a doctor. Some medical practitioners will prenatal vitamins containing higher amounts of folic acid. *Remember, it’s important to take 400 to 800 mcg of folic acid daily before planning a pregnancy, not just during pregnancy. You are breastfeeding. Women need to take approximately 500 mcg of this vitamin daily while breastfeeding. Some medical practitioners recommend continuing to take prenatal vitamins to ensure that they are receiving enough folic acid while breastfeeding and if they become pregnant again. You have previously had a baby with a spine or brain birth defect and want to get pregnant again. In this situation doctors may prescribe 4,000 mcg of folic acid daily. That is ten times higher than the normal dose. This higher level of this vitamin may reduce the risk of conceiving another baby with these birth defects. Medications used to treat Type 2 diabetes, epilepsy, lupus, psoriasis, asthma, rheumatoid arthritis, and inflammatory bowel disease. Conditions such as: kidney disease, liver disease, celiac disease, or sickle cell disease. People who consume more than one alcoholic drink a day also have a high folate requirement. The best way to ensure that women are getting enough folic acid daily is to take a nutrient supplement. For women who struggle to swallow tablets, there are chewable and liquid alternatives. Most supplements with this B vitamin contain at least 400 micrograms (mcg). However, it’s important to read the labels carefully. Ensure that any product is within the expiry date. It is also a good idea to consult with your local pharmacist to select the right product. If you are already taking a prenatal supplement then it’s likely to include the recommended daily dose of this important vitamin. Double-check the label to be certain. It is important to remember to take the nutrient supplement daily. If you take the supplement at a set time, such as with breakfast, it will become a routine. This can reduce the chance of forgetting to take your supplement. Can I get enough folic acid through my diet alone? Unfortunately the body does not process folate as easily as the synthesised form. Consequently relying on eating foods with folate may not be enough to meet the body’s demands when trying to start a family. This is why folic acid supplements are so important. Many foods are now fortified with this nutrient in an attempt to boost overall intake. Foods such as breakfast cereals, flours, breads, white rice, pasta and other grain-based products typically have added folic acid. Check the food labels to see how much of this vitamin is present. Natural folate can be found naturally in citrus fruits, legumes, whole grains, and leafy vegetables. Are there risks of too much folic acid? Consuming foods that naturally contain folate won’t exceed the recommended daily intake. Unless prescribed otherwise, do not consumer in excess of 1,000 mcg of folic acid a day. Excessive intake of this vitamin can mask the symptoms of a B12 deficiency. Low levels of B12 can cause nerve damage. Most women of childbearing age receive enough B12 and it is often included in prenatal supplements. Older adults still require 400 mcg of folic acid daily for good health. However, after the age of 50, susceptibility to B12 deficiencies increase. It’s a good idea to consult a doctor to determine what supplements you may benefit from.